The final season of the Spanish Fly is entitled ‘Spanish Fly: Celebration’ and will tell the whole story of legendary fishing host and friend Jose Wejebe. The story begins with the Wejebe family fleeing Castro’s takeover of Cuba and coming to Miami to start over with nothing. From a young age, a fascination with the ocean led him to write letters to his latter mentors Stu Apte, Flip Pallot and Lefty Crey. He quits high school to become a guide and buy his first boat all the while working at the Seaquarium in Miami training and working with sea mammals. As a young guide, Jose makes his first ever TV appearance on Flip Pallot’s original show ‘The Saltwater Angler.’ We have several of their shows together. This is the beginning of the ‘Mentor/Student’ story line of his life. And later became the mentor to others including Stevie Impallomeni, Carter Andrews and Rob Fordyce. Join Flip Pallot and Rob Fordyce on the waters of the Florida Keys as they go after one of Jose’s favorite fish the tarpon. The story of Jose Wejebe continues as a young guide who gambled everything to quit high school, buy his first boat, and learn from his mentors. Always a charitable and philanthropic character throughout his life, Jose donated his guide time and boat to the Redbone Celebrity Tournament Series supporting Cystic Fibrosis in children. It was there in 1992 that Jerry McKinnis, host of ‘The Fishin Hole,’ came to the Redbone SLAM celebrity tournament to shoot a different show and met a young Jose on the docks to fish with him for the day. It was Jose’s second time ever on television and it spawned the idea of McKinnis helping him start a whole new show called The Spanish Fly. The first show was something the fishing television world had never seen. In fact, the first moment on camera was completely out of the box. This new approach to fishing shows included Jose on camera walking down the streets of Key West talking about his life as a guide. Jose’s different style was obvious from the beginning. Barefoot interviews, laid back attitude, and a skill at explaining not only how to fish, but what the fish were doing and why. His main passion in the Key West style of fishing he shared from the beginning; find bait, catch bait, take bait somewhere, then catch bigger fish with bait. And the Spanish Fly television show was off and running. ‘Spanish Fly: Celebration’ continues as Capt. Jose Wejebe masters the Florida Keys and takes fishing to a new level up and down the Keys. Most guides were either flats guides or offshore guides. Wejebe was one of the first to guide and master both, as well as guiding for both spin casting and fly fishing. Finally, Jose was unique because of his love of diving and being in the water. Key West was always the home base though, and legendary shows were done right in Key West. One of the all time highlights was the 100+ lb tarpon catch where Jose had to strip down to underwear and swim under the pier right in front of the cruise ships at Mallory Square. This became an ongoing occurrence throughout the series: tearing his clothes off and diving in the water to save a fish catch. Join Capt. Steve Impallomeni and Jose’s daughter Krissy fishing offshore for tuna as they reminisce about Jose and his life on the water in Key West, and later looking into Jose’s past as they pour over his old log books. The show ‘Spanish Fly’ took off in the early years with a different approach to other shows on the air. Jose always envisioned being another ‘Walkers Cay Chronicles,’ but it soon took on a life of its own with classical music, barefoot interviews in odd locations, and Jose’s fearless and detail oriented yet approachable style. Not only were there reoccurring guest hosts on the show that Jose had relationships with, during this time a lifelong relationship began with Shimano as a field tester and R&D consultant. This was at a time Shimano had nearly no saltwater experience and from day one Jose helped build the brand for what it is today. 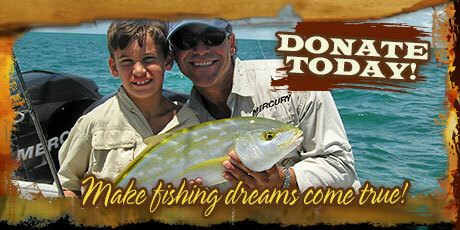 Join Dave Pfieffer and Roby Gant as they are guided in Key West by Capt. Steve Impallomeni and share many behind the scene stories of Jose. In the early years of ‘Spanish Fly,’ the shows mainly took to Jose’s backyard of the Florida Keys where Jose knew every inch of territory and the migrations of all the bait and fish. But he eventually couldn’t be contained in just one country. El Salvador, Ecuador, and Costa Rica (before everyone went there) were just some of the destinations. But it wasn’t enough to satiate Jose’s appetite for true exploratory adventures. And on every adventure Jose took the techniques he’d learned from Key West to other places and introduced them. Then Crooked Island in the Bahamas enters the story: a tiny island with one tiny resort that used a few Bahamian local guides for bonefishing. 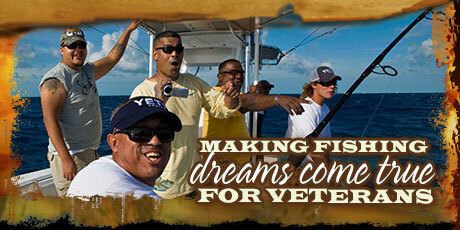 Classic shows to highlight include the first bonefish trips with Shakey, Tommy Sanders and Krissy Wejebe. It was on one of these first trips Jose meets lifelong friend Carter Andrews and Jose discovers a school of baitfish (pilchards) that he uses in the FL Keys. The next few trips they avoid bonefishing and target the baitfish with nets to use as live bait on the reefs, a technique Jose used in the FL Keys but had never been used here. Teaching the new technique to Carter opened up a whole new set of species they now could target; both inshore and offshore. Join Carter Andrews and Robert Trosset for a day of shark fishing while reminiscing about the first times they met and fished with Jose. Jose Wejebe’s was one of the unquestioned ambassadors of the Florida Keys, but throughout the 17 year history of the show, he also became the fishing world’s ambassador to the rest of the world. His adventures were true travel adventure and the list of countries and oceans he travelled to was long. As with most of Jose’s adventures, the trip was not in the destination but the road along the way. 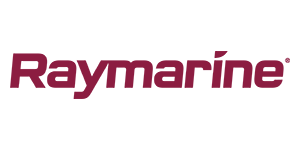 In the early years it was Costa Rica, Peru, Inagua, Guatemala, and Venezuala. As the show matured, Jose frequented the Bahamas and the Yucutan. Later in the life, the adventures went even further. Several Australia trips had memorable moments that would become classics aboard two different motherships. The Galapagos served to deliver some of the most spectacular wildlife videography of the series. One of his biggest adventures filmed was nearly 5 years in the making: a trip to the other side of the planet with the film crew to fish the remote atolls of the Indian Ocean. The 10 day expedition features breathtaking scenery, incredible fishing, a tropical cyclone, a mysterious sickness in the crew, and a near run in with Somalian pirates. Epic best of moments and behind the scenes stories frame the adventures. The early days for Jose Wejebe were a classic case of absorbing knowledge from anywhere he could get it. Books, TV Shows, hand written letters to people he looked up to, and finally befriending those same mentors. But along the way, Jose discovered his own knowledge by sheer time on the water. While filming the early years of ‘Spanish Fly,’ Jose continued guiding full time which gave him all the full time information of what the fishing world was doing. He could have easily kept it all to himself, but he willingly took on ‘little bro’s’ that he mentored and helped get started their dreams similar to his learning from the greats like Stu Apte. This show drives home the ‘from being mentored to being a mentor.’ It was always about passing on the knowledge. By far Jose Wejebe’s biggest love was not just the oceans of the world, but his moments he cherished being a father to Krissy Wejebe and seeing her follow the passions that we had. It was this relationship that helped him become a big advocate of taking kids fishing. But there’s no question that one of his biggest passions people might not be aware of: his dedication to helping people through his charitable works and Jose brought to that to light in many shows where he took ‘Make A Wish’ kids fishing. As a young guide he donated time to Cystic Fibrosis and freely gave his time and energy to the Redbone tournaments which has raised millions to search for the cure for children who suffer from the disease. Ironically, it was how he got discovered to be a TV star as he was donating his time. He gave countless trips to auctions for different charities. He even visited the soldiers in Iraq and Guantanamo Bay. The only hint his television audience ever had of his charitable works however was the trips he took with ‘Make A Wish’ kids. One relationship he developed and loved was with Christian Goodpastor. Another friendship later with a Make a Wish recipient was with Jonathon Nitche. 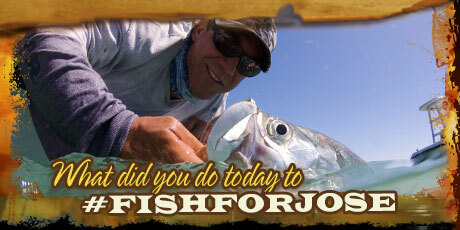 Jonathan returns to Key West to fish with Steve Impallomeni and reflects on all that was done for him and many others. This never before seen show was the third and final part to a series of shows Jose Wejebe and crew shot last year. After fishing the first few days on the West coast of the Baja Peninsula in Mexico, the crew travels across the Peninsula to the Sea of Cortez in search of the beautiful leopard grouper. This is the first of two never before seen Spanish Fly shows. After Hurricane Katrina, and then again after the Deep Horizon Oil Spill, Jose Wejebe was the first to get down to the Gulf coast, “boots on the ground” he would say, to figure out how the fishery really was effected after both of these natural disasters in one of the healthiest saltwater delta estuaries in the world. The only reason he went: is to help tell the story of that fishery being healthy and open to fishing, but more importantly he went to help the local people of the commercial and recreational industry. There are incredible best of moments during all of his trips to Louisiana. Join Rimmer Covington and Eric Newman as they go offshore to the first place Rimmer took Jose 10 years ago to catch the diverse species of the northern Gulf of Mexico. Many people were familiar with Jose’s travel adventures and fishing expeditions, but few new of his off the water life and other passions. Besides being a black belt in judo and being a skilled racquetball player, music was a big part of Jose’s life and he was an exceptional guitarist and brought that to the Spanish Fly shows. Kite boarding became a popular recreational activity around Key West and Jose was not going to be left behind. Underwater photography and videography were a passion that many knew about because of the TV shows, but they might not have known that he was one of the best. Even though true home base was the Florida Keys, there was no location in the world that Jose wouldn’t travel to tell a story. But much of the story that made it to the growing audience of the ‘Spanish Fly’ TV show was rarely told. The behind the scenes stories of getting gear around the world and covering the action were events in themselves, and not always safe events. From having to land a rescue plane in a cow pasture in Argentina, to armed guerilla escorts in the jungles of Venezuela and Brazil, to tarantulas and anacondas in the Amazon, to narrowly missing being kidnapped by Somalian pirates in the Indian Ocean. But it wasn’t always adventurous or dangerous. There were many lighter sides and comedic moments that took place during the 17 years of shows. ‘The Spanish Fly’ wasn’t always about fishing either. Jose always believed the journey was the destination, especially during his many expeditions. His show truly transcended ‘just a fishing show’ as many of the adventures he shared we’re about the Road Less Traveled. The stories within the stories from the people who were there to capture it; the producers and videographers tell their story. This is the final episode of the Spanish Fly that has never been seen and was the last shoot Jose Wejebe was on. The accident took place just hours after the interviews were shot. Best of moments from 16 seasons of the Spanish fly framed by the story of Jose Wejebe and the friends and family we shared the adventures with.